The Convenience Store with a Bar! Love Green Tea? So Does Krispy Kreme! 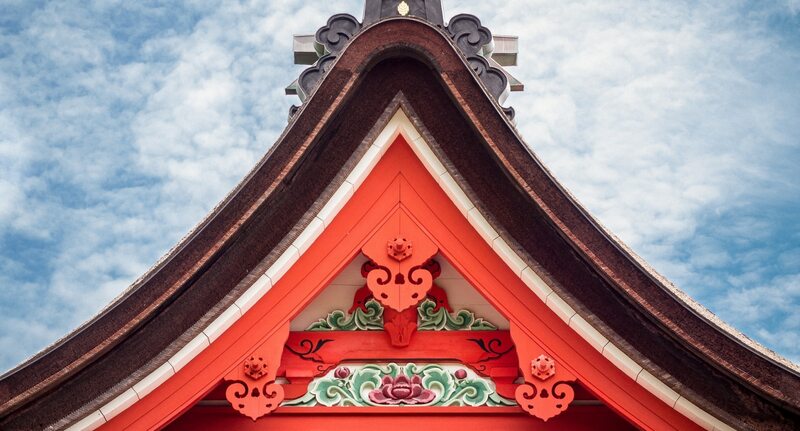 Japan has a rich pantheon of gods in its Shinto tradition, and some of them seem to watch over some strangely specific aspects of human life! Read on to find out where some these unusual shrines exist in the power spots dotted around Tokyo. If you want protection from bad luck then this might be the shrine for you! 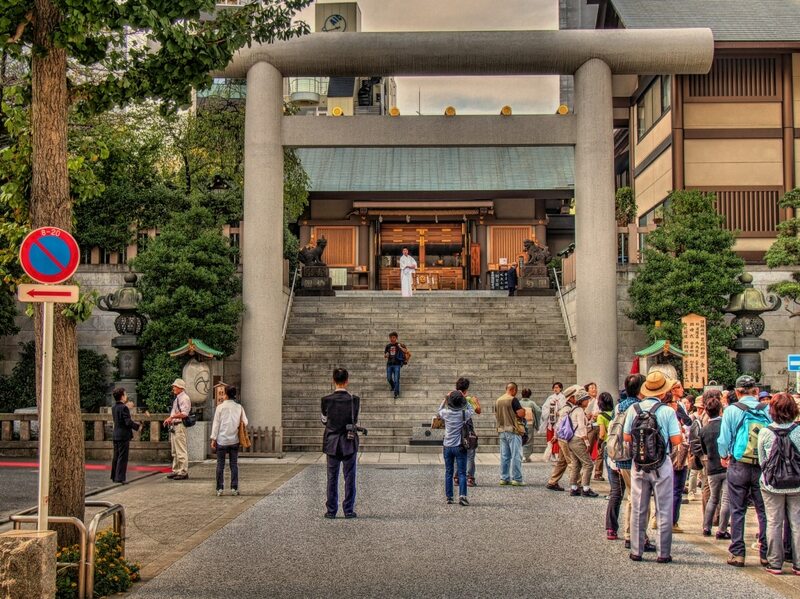 Shiba Daijingu Shrine is a short walk from Hamamatsucho Station. It was made famous by the titular heroine in the long-running historical NHK drama Go: Hime-tachi no Sengoku, who wanted to visit to pray at Shiba Daijingu for her husband's victory in the war. She was unable to go, and instead sent her son's wet nurse, Lady Kasuga. The shrine sells a rare omamori charm said to ward off an entire lifetime of bad luck for its wearer. If you want to win the lottery then this might be the shrine for you! Located near Ueno Park and Tokyo University, this particular shrine is dedicated to the Shinto god of learning, Sugawara no Michizane. It is often visited by students hoping to do well on exams, but since the Edo Period it has also been said to boost chances for winning the lottery. If you want to improve your golfing skills then this might be the shrine for you! Otori Jinja, also sometimes referred to as Washi Jinja, is famous for its Tori no Ichi harvest festival held in November every year. Strangely enough, there's another reason why people come to pray at this particular shrine. Those wishing to improve their skills at playing golf will also come here, as the kanji "鷲" in the name of the shrine translates into "eagle" in English—which is also a golfing term for scoring two swings under par! If you're concerned about how to manage your hair then this shrine might be for you! Regardless of age or gender, everyone worries about their hairstyle. You will find a hundred famous poets enshrined who will happily listen to you lament about your hair-related woes—after all, managing stress is an important part of maintaining a healthy head of hair! If you really need the sun to shine then this might be the shrine for you! If you need help ensuring the success of your business venture then this might be the shrine for you! The Ana Inari Shrine is within the Shinagawa Shrine precinct. Patrons visit the fountain in the precinct and wash their coins and their company seals (known as inkan) in order to purify them and promote prosperous growth. To read the original article in Japanese from All About, please visit the link below. Tokyo's Top 5 Bizarre Museums! Discover more of Japan, just a cheap trip away from Tokyo! We love Japan, and we hope we can help you find something you can love about it, too! We're always looking for something fun, weird, exciting or intriguing to highlight just how fascinating this place can be. Updated 2019 Cherry Blossom Forecast! 2019 Tokyo Sakura Season Officially Begins! A Week in Tokyo (+ Day Trips) for Under $500?! Get the best of Japan. We'll be in your inbox. Your email address will only be used for the purpose of sending email magazines. You can opt-out at any time. For EU-specific policies details are here. ©AllAbout-Japan.com - All rights reserved.